These are a plug and play strip light as they come with a free DC connector, just push the wire in to the connector and screw the terminals down. You can then plug it in to a power supply. Note this is the non waterproof version, if you need the waterproof version please check my other listings. channel letter lighting. Bar lights to light up bottle displays, Architectural lighting such as cove, pelmet, shelf, wardrobe and stair lighting. combine the connectors with no extra postage, just ask and I will list. If you find this is too bright we have dimmers available. can be joined using the connectors we stock. 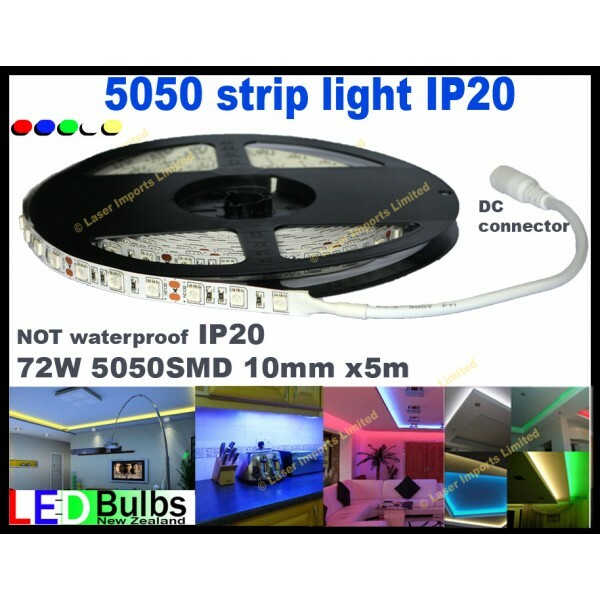 See my other listings for RGB changing colour strip lights, 3528 smd type strip light, wifi remotes, dimmers for these strips power supplies and other led lighting.